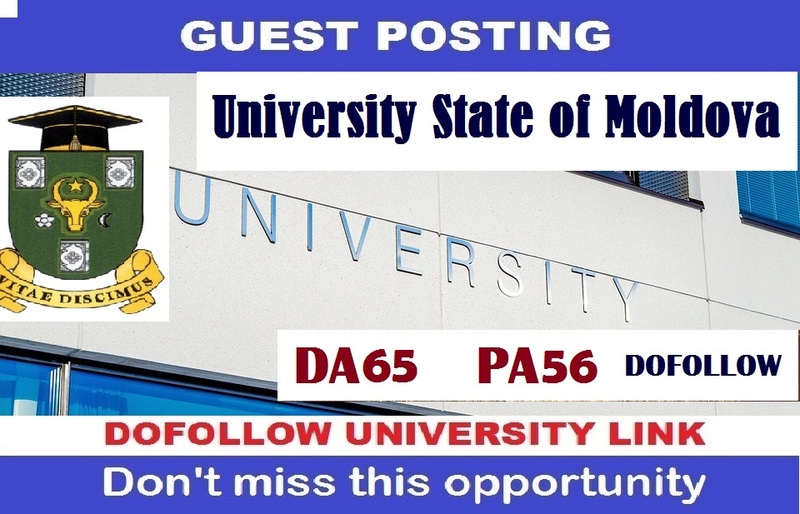 I am going to provide High quality Edu guest posts on Guest post on University State of Moldova usm.md DA65 of EDU domains for your site, safe and fast option for your website to rank higher in Google. I am a PR and outreach expert, and I can help you do media outreach that gets results. I will help you to get a blog post on University State of Moldova - usm.md with 2 dofollow links to your site. Links from http://usm.md .EDU domains are ones Google loves the most because only trusted users can get full access to such websites and to make posts there. Backlinks from high quality. Edu sites are well known for increasing SERP ranking. Now just imagine, if you get Do-Follow backlinks from World best Edu sites?? They can not only boost your SERP rank, it also provides you a handsome amount of traffic to your website. I am having good relation with authors on many high DA edu sites. A link from Education Blog will definitely your business/website to be easily found on search engines, such as Google, Bing, Yahoo, etc. 3. 1-2 High Authority Links included along with your link. 4. Relative images to increase the impression of the article.